Today has been a very sad day for us. After a long and hard fight, my sister-in-law Debbie lost her battle with cancer. 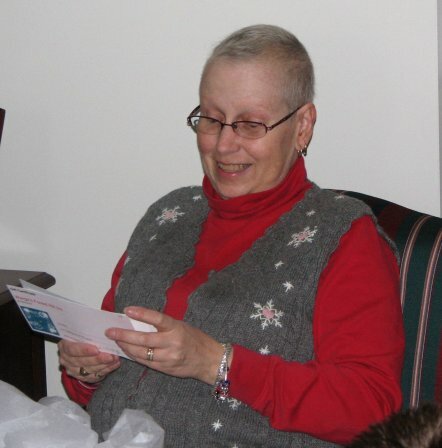 What started as breast cancer moved on to other areas, and it finally took her from us today. I know that she has found peace and is no longer in pain, but it is hard to get over the void that is left at this moment, especially for my brother and my nephew. Please keep them in your prayers. This entry was posted in Uncategorized by textillian. Bookmark the permalink. It’s been a day of loss for both of us. Best to you and yours. I’m so sorry for your loss, and my sympathy to your brother & nephew. Patrick, I am so sorry to hear about your sister-in-law. I will be thinking of her and your family tonight in my prayers and when I make a donation for your next Race for the Cure. Still thinking of you and your family…keeping you in my prayers. Hope you and the rest of your loved ones are doing well. Hugs.